For my day job, I’ve lately had to dip my toes into video production. As is the new normal, I’ve been encouraged to find free or inexpensive tools wherever possible. Here, I’ll share what I’ve learned so far. Microsoft PowerPoint: For the opening titles of one project, I wanted to capture an animated PowerPoint slide fading in a logo, title, and subtitle. I spent about an hour searching for a small, free tool that would convert a PowerPoint file to a video. Many keyword combinations typed into Google Search yielded no useful result. Finally, I tried just opening up PowerPoint, choosing the Save As command from the File menu, and looking through the file types for video file formats. Viola! MP4 is on the list. It works like a charm. You can make an animated presentation or self-running slideshow in PowerPoint, save it as MP4, and you’re in the video business. Screen Recorder: For my day job, I work in software, which means we need to demonstrate our product. If a demonstration can’t be totally live, then doing a video screen capture of our software in use is the next best thing. Such a video can also be a powerful promotional asset. I tested 10 different free utilities, both browser-based and downloadable, before finding one that would install correctly, record clearly, and not impose restrictions on commercial use: Screen Recorder by Rylstim. It contains few options, but it does what I need: records the screen of my monitor while in action, at 30 frames per second, and saves it as an AVI file in the location of my choosing. Sound Recorder: To record narration and other audio for your video, Microsoft includes Sound Recorder for free with Windows. You’ll need a microphone. Investing in a decent microphone is worth it–quality video often comes down to quality audio. 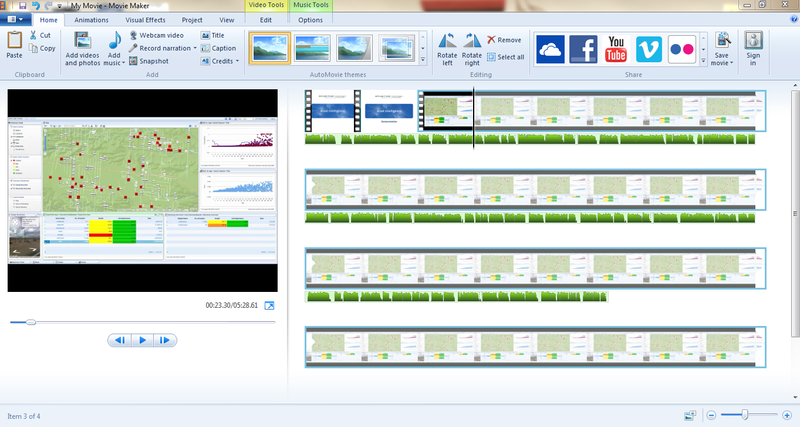 True confession: while Movie Maker looks like it offers decent functionality, and you can’t beat the price, I’ve opted for Sony Movie Studio. To me it’s more robust, with an editing timeline that’s easier to use. Plus, it’s affordable (to me) at $80. So there you have it–a tool box for video, easily available for free and certainly for less than $100. You won’t be winning an Oscar for editing or special effects with these tools. On the other hand, the price tag easily fits in the budget of public and social sector organizations looking to increase promotion, engagement, training, fundraising, and more.